Sake Dean Mahomed, the first Indian author to publish a book in English, and the first Indian to open an Indian restaurant in the UK was honoured today with a doodle by Google. It was on this day, 225 years ago, that Mahomed published The Travels of Dean Mahomed, an autobiographical narrative about his adventures in India, becoming the first Indian to publish a book in English. The doodle features kitchen ingredients like tamarind and salt, surrounded by celery leaves, with a picture of Dean Mahomed. Born in Patna, India, in 1759, Mahomed was an author, an entrepreneur and a surgeon. At the age of ten, after losing his father, he was taken under the wing of a British Army officer, who trained him to become a surgeon in the army of the British East India Company. He remained with the unit until 1782, when he resigned and arrived in Ireland in 1784 with his colleague, Captain Baker. 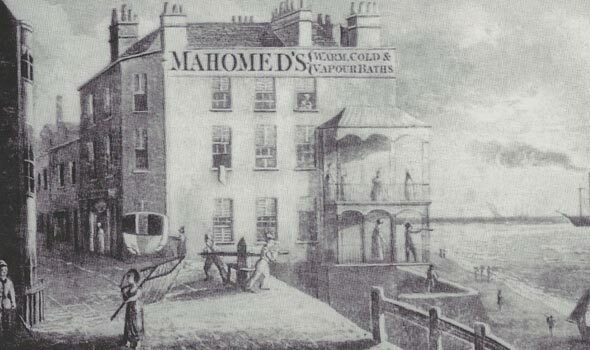 After moving to London in 1810, Mahomed opened the Hindostanee Coffee House, the first Indian restaurant in Britain. The restaurant was rated for its high-quality dining experience by The Epicure’s Almanack, then one of the most popular British restaurant guides. The restaurant gave the British their first taste of curry and the hookah. However, a few years later, Mahomed was forced to close his luxurious restaurant due to financial pressures. 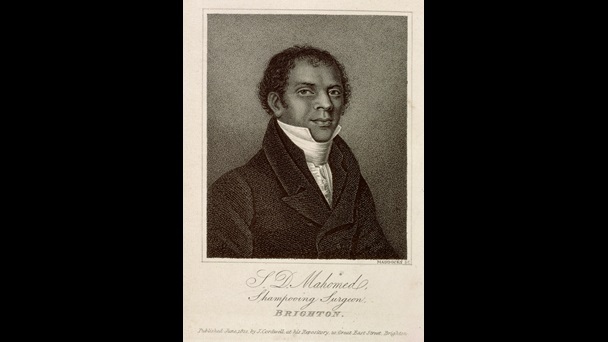 In 1814, Mahomed moved his family to the beachside town of Brighton, where he opened a spa named Sake Dean Mahomed’s Baths offering luxurious herbal steam baths. He provided a combination of a steam bath and an Indian therapeutic massage, gaining him the moniker “The Shampooing Surgeon of Brighton”. In 1822, he was appointed the personal ‘shampooing surgeon’ of King George IV.